possible because golf clubs were having a lean time and welcomed the extra revenue. After the Second World War the society was re-activated in 1946, and Mr Harry Ekberg, staff manager of Associated Newspapers and former treasurer of the society, revealed that £33.13s was still on deposit with Coutts Bank. The first post-war meeting was on Monday, October 7, 1946, at Sundridge Park. It was well attended, and a new committee was formed with Mr Ekberg agreeing to continue as treasurer. On February 5, 1947 Mr. Ekberg confirmed to the committee the existence of six cups, and he listed them with the cost of purchase in 1923: the Caird, for example, had cost £15, the Cousins £15.10s. The valuation in 1947 was five times these figures. Today these trophies are irreplaceable and valued in thousands of pounds. The new committee was formed under the Presidency of Lord Rothermere. All the directors of the company were then asked by him to take office as vice-presidents. 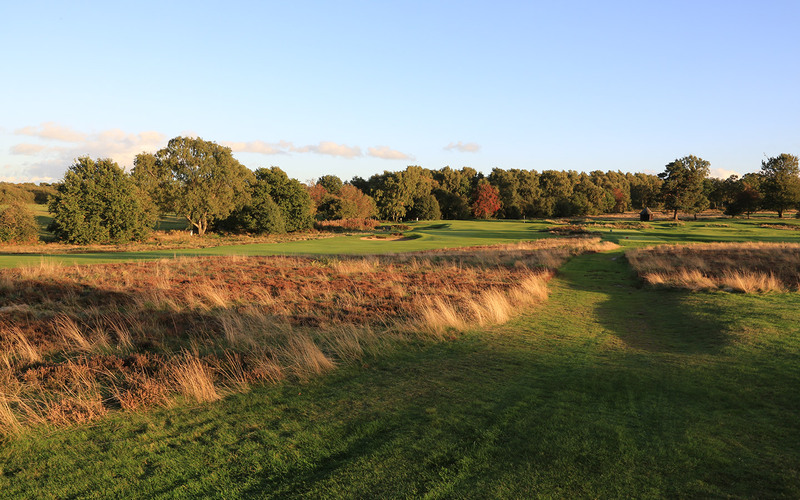 The next meeting was held at Purley Downs Golf Club on Wednesday, May 7, 1947, for the Rothermere and Northcliffe challenge cups. With green fees, lunch and tea at 12s. a head (60 pence), it was a good day at a low cost. Golf balls were in short supply, but an appeal to Dunlop brought a special allocation to the professional at Purley Downs. Beer also was on ration, and a successful request was made to brewers for extra supplies. The members didn’t want the society drinking them dry, but the club, in fact, got a few extra gallons the Northcliffe members couldn’t drink. Next day it was learned that Harry Ekberg, who the previous evening had looked in the best of health and on whom the society had depended so much in getting it going again, had died of a heart attack. To maintain the essential link between staff and management, Mr J.P. Hobbs, Secretary of Associated Newspapers, agreed to act as the new treasurer. Money held by Coutts was withdrawn and a separate account opened with the company, so it, in effect, became the society’s bankers. This meant monies could be paid into the cashiers and a statement issued without any inconvenience. Mr Hobbs continued to look after the financial affairs for another eight years and at various intervals afterwards Mr Howell, Jack Wallwork and John Collins all gave assistance. Cyril Pounds was elected captain in the revival year of 1946, chosen because his association with the society dated back to 1914. 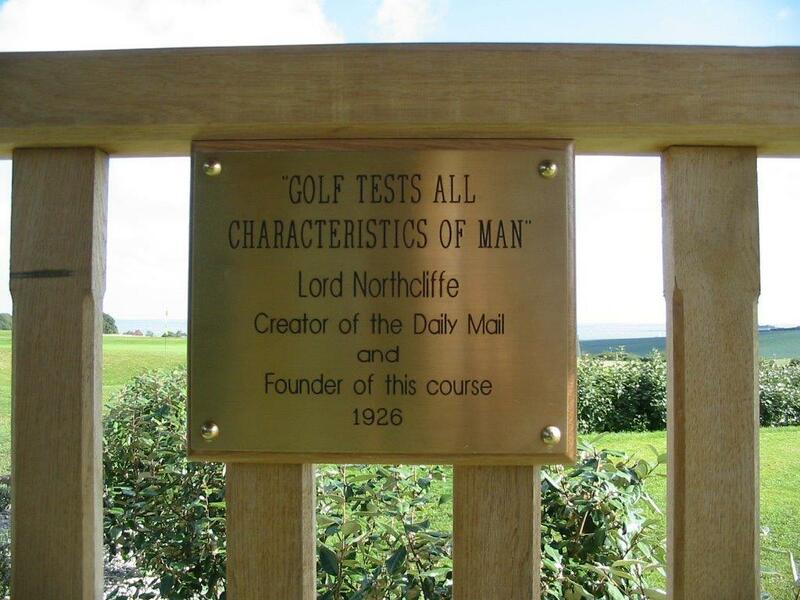 His handicap was 24, but he was a dedicated enthusiast of the society and the Northcliffe tradition. 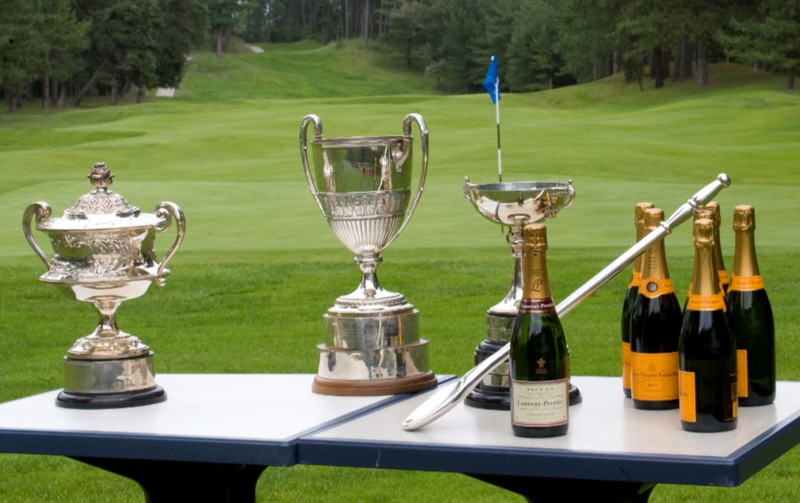 East Brighton, on Tuesday, July 29 was the meeting for the Marlowe Cup and the Cousins Bowl. Members travelled to Brighton on the 9am Pullman and again were given a special allocation of golf balls and beer. There was an excellent lunch and tea, plus green fees for 36 holes, for 12s 6d per head (62 and-a-half pence). At this meeting was Arthur Fuller, Vice-Chairman of the company whose influence made many things possible. He was renowned for going out of his way to engender a feeling of comradeship among the members. One of the most noticeable changes in the Fifties was in the growth of public courses. This increase made it difficult to assess a golfer’s ability, but people were not stopped from joining because they weren’t in a private club, most of which had long waiting lists. Most meetings were held in the summer, and it was agreed that there should be an annual dinner during the winter to maintain enthusiasm. The first was on Friday, March 11, 1949. Bill Boorne, then theatre critic for the Evening News, arranged the cabaret, which included Avril Angers and a young comedian called Benny Hill.